2015 DIRT FEST attendance was estimated to be 5k, this year it is expected to double. 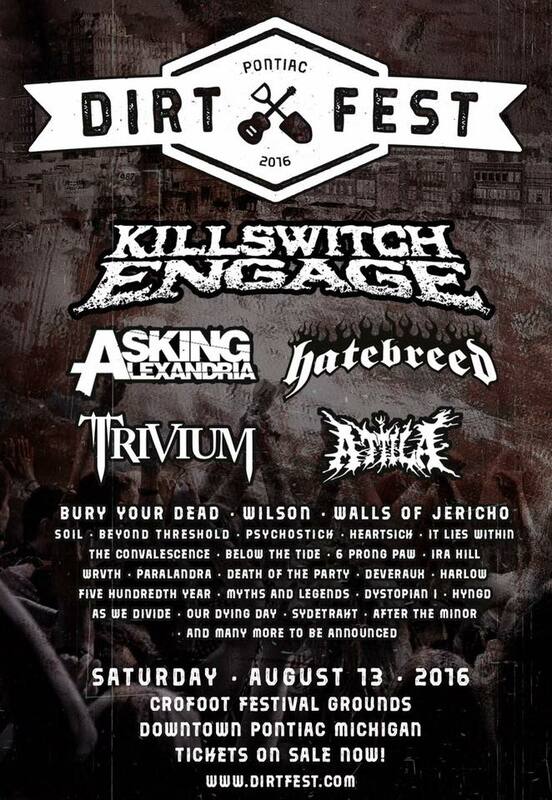 Pontiac, MI Aug. 13 – Killswitch Engage, Asking Alexandria, Hatebreed and other heavy rockers will bring DIRT FEST to town after 18 years in Birch Run. The 2016 event which will feature 30+ bands on multiple stages both outside in the parking lot — aka the ‘Crofoot Festival Grounds’ — and inside the Crofoot proper.